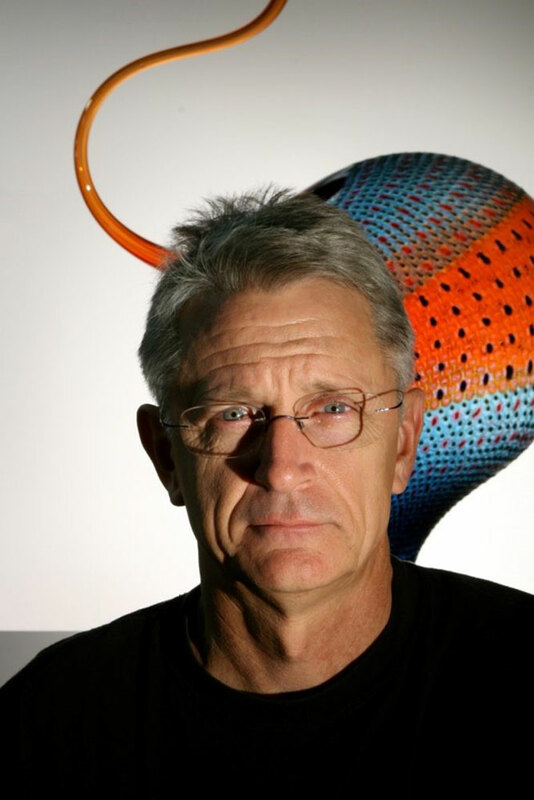 We are celebrating the life of one of the great American glass artists, Stephen Rolfe Powell who died suddenly at his home in Kentucky on March 16 at the age of 67. Steve was due to demonstrate at the Glass Art Society conference in St. Petersburg on March 30, where I was looking forward to meeting him. We made contact while I was researching the Art on Fire exhibit at WMODA, which he kindly shared on his Facebook page. 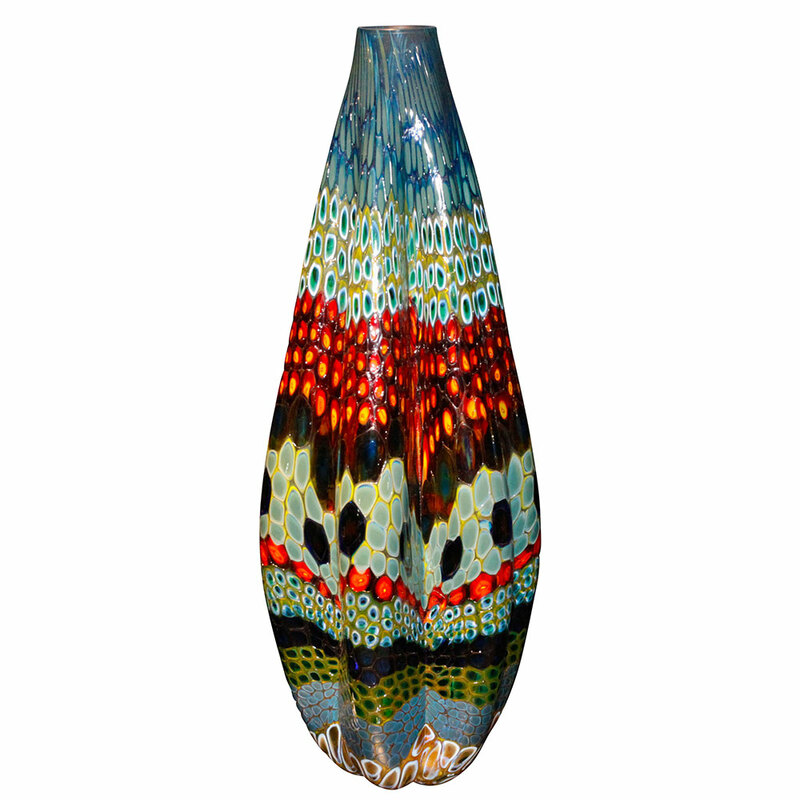 He was pleased to hear that four of his massive works are a huge attraction in our Hot Glass gallery at WMODA. 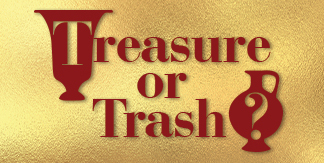 The wacky titles of Steve’s work conjure up his exuberant personality. A native of Birmingham, Alabama, his southern drawl inspired his students with his humor, kindness and encouragement. 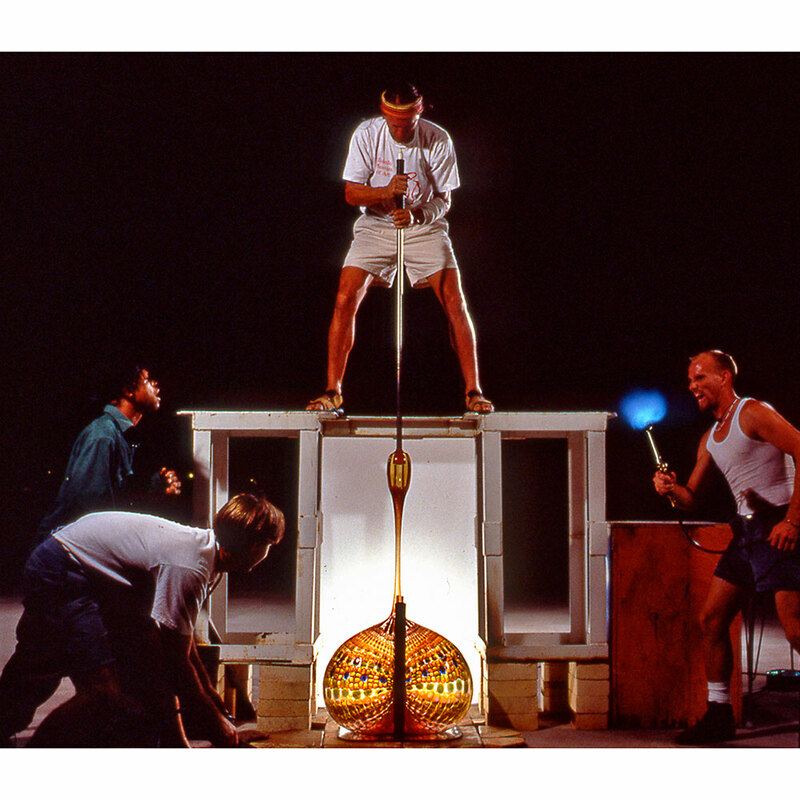 Steve founded the glass program and state-of-the-art studio at Centre College in Danville, Kentucky in 1985. He has been recognized nationally as an amazing teacher and acclaimed as Educator of the Year in 2012 by the James Renwick Alliance in Washington DC. Steve studied ceramics before discovering hot glass which became his full-time obsession. 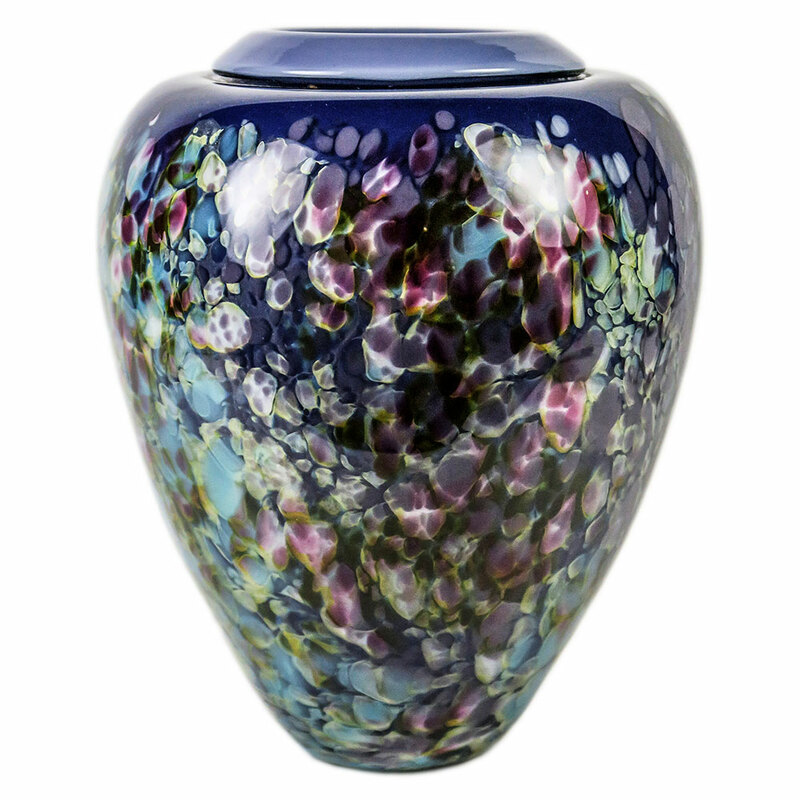 His legendary energy and vigor enabled him to make monumental vessels in colorful murrini patterns. He was intrigued by irregular shapes in nature, which are swollen or puffed, including fruits and vegetables, such as okra which he grew on his farm. Often his bold, textured organic forms are playful and whimsical. The long necks of his vessels reference the postures and liveliness of cranes, storks and other long-necked creatures in nature. 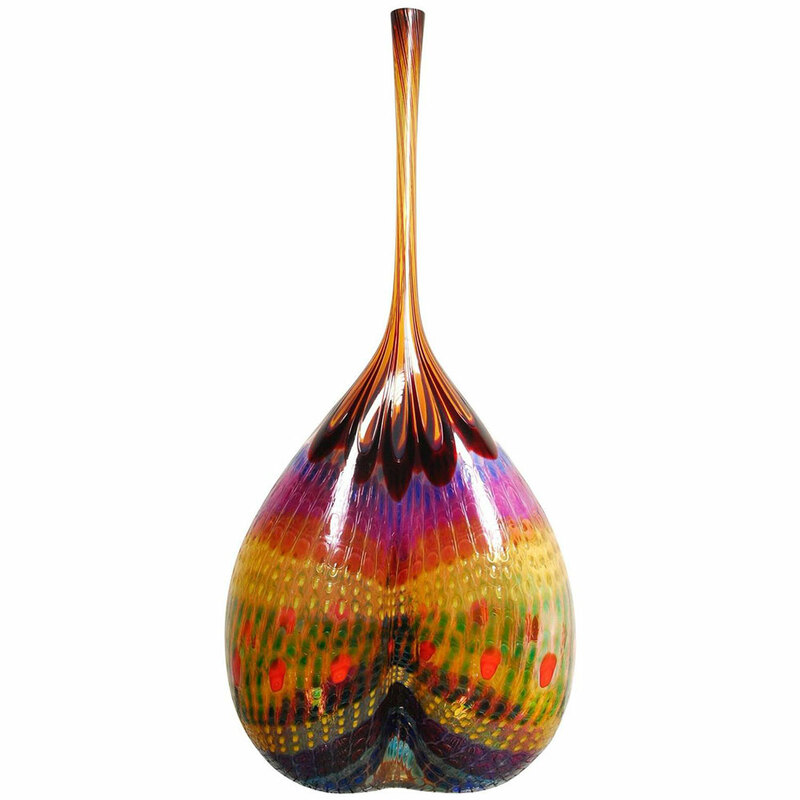 As well as his vital links with Venice, the city of glass, Steve exhibited his work widely around the world and held workshops to guide new generations of glass workers and artists. His breathtaking demonstrations were astonishing in their sheer physicality, technical challenges and intensity of scale. His awards, recognitions, accolades and distinctions are too numerous to list in detail. 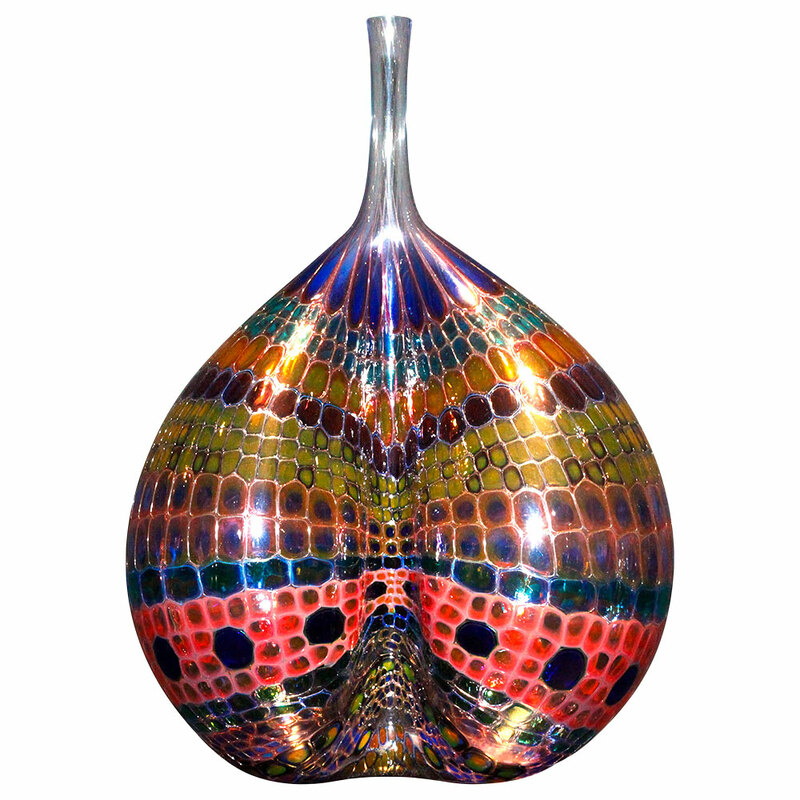 His book Stephen Rolfe Powell: Glassmaker was published in 2005 and was granted the award for Overall Excellence by the South Eastern Library Association. The “benign Pied Piper of hot glass in Kentucky” lived a joyful, impressive and awe-inspiring life. After a freak accident with a glass window pane in 1991, Steve said at the time, "It's really paradoxical that glass got me…I can't imagine living without being able to do my work." Fortunately, he was able to continue sharing his passion for glass for a further quarter century. Our thoughts are with his family and friends around the world at this sad time.